The experts at Clawson Honda of Fresno are dedicated to streamlining the entire car-buying process. That is why we have implemented iClawson, the future of car buying. iClawson makes it easy to shop for the new, used or Certified Pre-Owned Honda that you would like to buy or lease. Simply shop our inventory, select your car, your payment, and your financing. Clawson Honda will deliver your new car to you, or select a time to pick up your car at Clawson Honda. 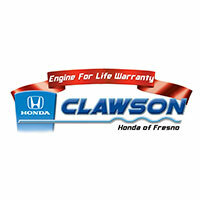 At Clawson Honda of Fresno we are revolutionizing the way people buy cars. Shop at your convenience today. Get started at www.clawsonhonda.com, your Honda dealership in Fresno, CA. Browse our inventory of new, used and Certified Pre-Owned Honda models. By using iClawson you can shop when and where you want, review your numbers and then finalize the purchase whenever you are ready to visit our Honda dealership. Buying a new Honda will be a simple, streamlined process with the help of our iClawson Customer Assist Experts. If you need help at any point during the car buying process, one of our experts will be available to assist! Our online professionals are here to make sure you fully enjoy the experience of online car buying. Once you have bought a car this way, you will understand why we feel it is the future of car buying! Be Happy with your experience! You can do almost everything through iClawson, saving you time when you eventually do visit our Honda dealership. Once everything is finalized, all you need to do is pick up the new or used vehicle you purchased and drive it home. If you have any questions one of our Honda professionals will be happy to help. Before you know it, you will be on your way in your new or new-to-you Honda! ** Delivery within 60 miles of the dealership. All paperwork must be signed at Clawson Honda of Fresno.